Nothing is more relaxing than the sound of waves gently lapping on a beach. 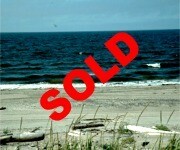 The market for oceanfront property in BC is as sizzling as the waters of the Pacific Ocean are cool. If you are looking for recreational property with part of the beautiful British Columbian shoreline, then you’ve come to the right place!NIHO Land & Cattle Company can provide you with beautiful oceanfront properties located all along the coastline of western British Columbia. Perhaps you are looking to enjoy the crystal blue waters and currents flowing from the coasts of Asia on the pristine northern edges of Vancouver Island. We can help you. Maybe you’d like to try your hand against the famous coho salmon and cod off the majestic waters of private northern British Columbia. 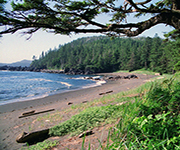 Or perhaps you would like to experience the mystical presence of Haida Gwaii, the Queen Charlotte Islands. NIHO can provide you with the property to launch your exploration of this fabulous island.If you are interested in active water sports of all types, we can show you the perfect launching spot to rule the waves. If you’re interested in sitting back and watching the sun slowly sink under the blue waters of the horizon, we have oceanfront which is right for you. Oceanfront is becoming scarce as those who appreciate the charms of the British Columbian waterfront quickly snap up the dwindling supply of properties. 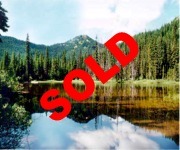 This sector of the recreational real estate market clearly demonstrates the truth of our president, Rudy Nielsen’s, motto: “Don’t wait to buy land. Buy land and then wait!” Not only will the values of these properties increase with every year, but your enjoyment of your dream property will be worth every penny. 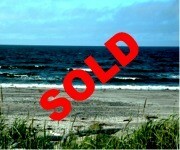 This spectacular oceanfront & riverfront lot is one of the most beautiful lots inside of Naikoon Park. With approx. 235 meters (772 feet) of combined oceanfrontage and riverfrontage, this property is located at the mouth of the Chown River on Southbeach. The view from this lot is breathtaking. Lot 4 of the Naikoon Estates on the Queen Charlotte Islands features spectacular scenery on a legendary island. This 3.75 acre property offers access to a multitude of recreational opportunities with its 295 feet of ocean frontage and direct access to the very popular North Beach. 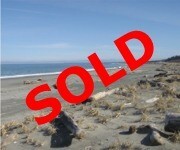 This prime lot has 314 feet of oceanfrontage on the majestic Pacific Ocean. 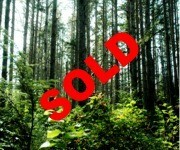 A fairly flat lot, this property is treed in spruce, alder, and cedar. With direct access to South Beach, Lot 5 is an ideal spot to build your retreat from the pressures of the everyday world. Lot 7 of the Naikoon Estates has the most oceanfront of our lots in the scenic Queen Charlotte Islands- 776 ft! With a spectacular view of the majestic Pacific Ocean, and fronting on some of the most beautiful beaches in the world, this lot is ready for you to build your dream vacation home. With 430 ft of oceanfront, and direct access to spectacular North Beach, Lot 6 of the Naikoon Estates offers access to a number of recreational activities at your doorstep. 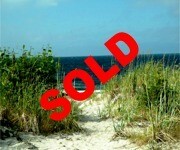 With good access, and a fairly flat topography, this lot is ready for you to build your recreational getaway. With 287 feet of oceanfrontage, Lot 3 of the Naikoon Estates is an ideal place for a vacation home or a retreat from the 9 to 5 world. Fairly flat, and treed in alder, spruce, and cedar, this property has direct access to the wide open North Beach, a popular spot for crabbing. This property has partial paved access from Tow Hill Road. This oceanfront property on the Queen Charlotte Islands has about 288 feet of incomparable oceanfront! With an unobstructed view of the majestic Pacific Ocean right from your building lot, this property has direct access to North Beach. Fairly flat, and treed in alder, spruce, and cedar, this property is a unique retreat. 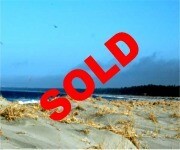 This spectacular oceanfront lot is one of the most beautiful properties on the Queen Charlotte Islands. 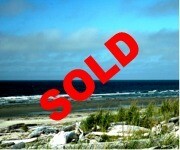 With 387 feet of ocean frontage, this property is located within scenic Naikoon Provincial Park. 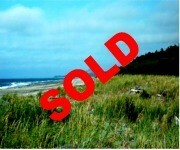 With gorgeous views and close to the amenities of the town of Masset, Lot 1 would make an ideal getaway retreat.